We are trying Blue Apron. It’s a service that sends you fresh ingredients and the instructions on how to cook it. We are trying the once a week plan. The first problem was that Blue Apron sent us too many boxes at first and then sent one late. The scheduling screwed up our plans, but we tried to make it work. We chose the Garlic Caper Chicken as our first meal. The picture looked good. Cooking was relatively easy with the instructions. However, I noticed that the packaging all felt a bit wasteful. Everything was individually wrapped in little plastic bags. The bags didn’t say biodegradable which worried me that all of these ingredients were creating a massive amount of plastic landfill. You can recycle the plastic, but I imagine much of it going in the trash. The food was cooked and ready to eat. I took a bite and immediately regretted it. The food tasted exactly like a meal you might get at The Olive Garden. For those of you who love the Olive Garden, I apologize. To me, it’s just cheap, poorly cooked food. It has too much butter and oil and tastes bad. I thought back to the ingredients and realized the issue. 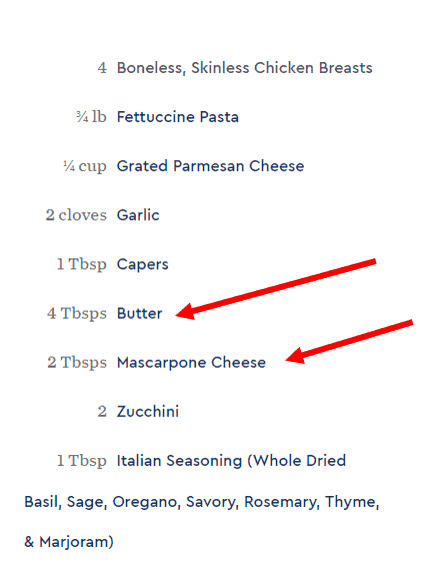 It was the butter and cheese ingredient. I was mildly concerned when we added them. The whole texture of the dish changed. Anyway, the result was not appealing to my fine taste buds. I want Top Chef yummy high end cuisine in an easy to make package. I just read this article on cooking the modernist way. You have to buy some expensive equipment like a sous vide, but the author says that the cooking is actually really easy. Anyway, Blue Apron better improve in the next meal or we are likely to eliminate them. Three strikes and they are out.